Ultrasonic PCB cleaning removes solder paste and flux residue. Ultrasonic cleaning of PCBs is gentle and thorough. 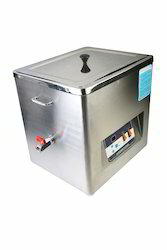 Ultrasonic Cleaners for PCB Cleaning removes solder paste and flux residue. Looking for Ultrasonic Cleaners For PCB Cleaning ?